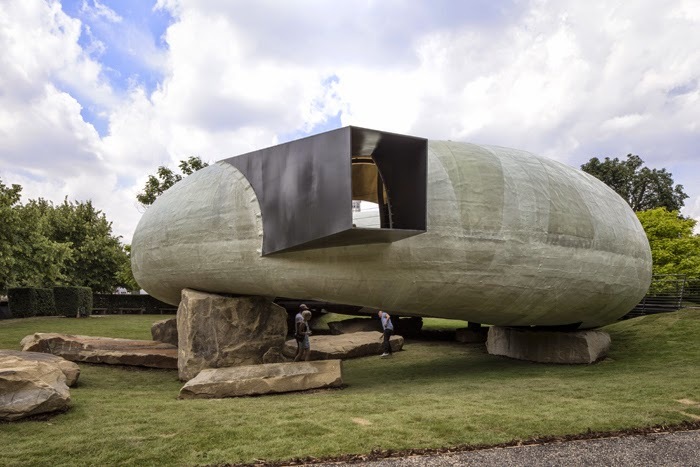 One of the highlights of the London summer social calendar is the party to introduce the Serpentine Pavilion in Hyde Park. You might remember my post from last year's pavilion. 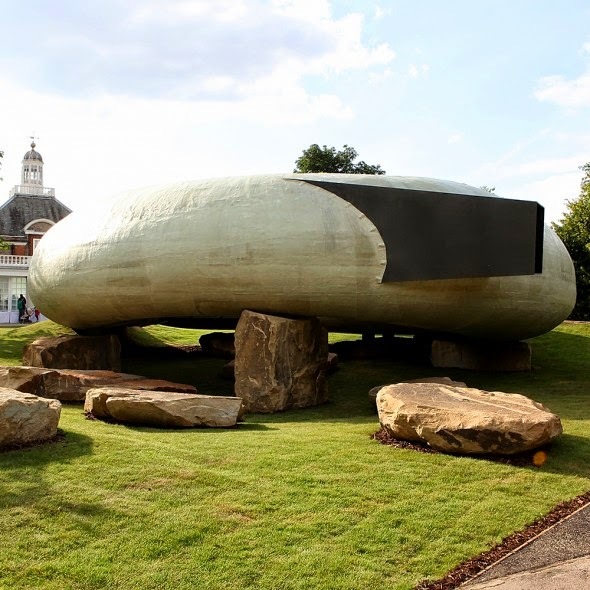 While many of us thought a spaceship had landed from Mars, this creation was actually the brainchild of Chilean architect Smiljan Radic who was chosen as the 14th architect to design a temporary structure for the grounds of the London gallery. There is a café and seating area inside and, from July to October, there will be various art, film, music and poetry events held there as part of the galleries’ Park Nights series. 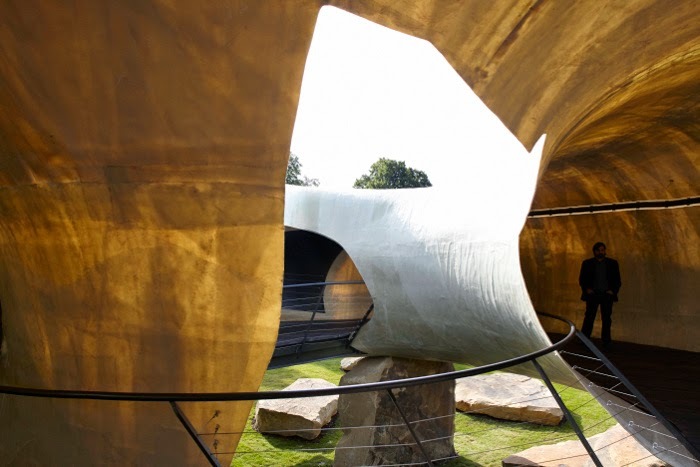 Previous architects have included Zaha Hadid, Frank Gehry, Oscar Niemeyer and Rem Koolhaas. Here I am at the party with fellow American girlfriends, including the Serpentine Galleries' Head of Events, Michelle Anselmo, on the left. 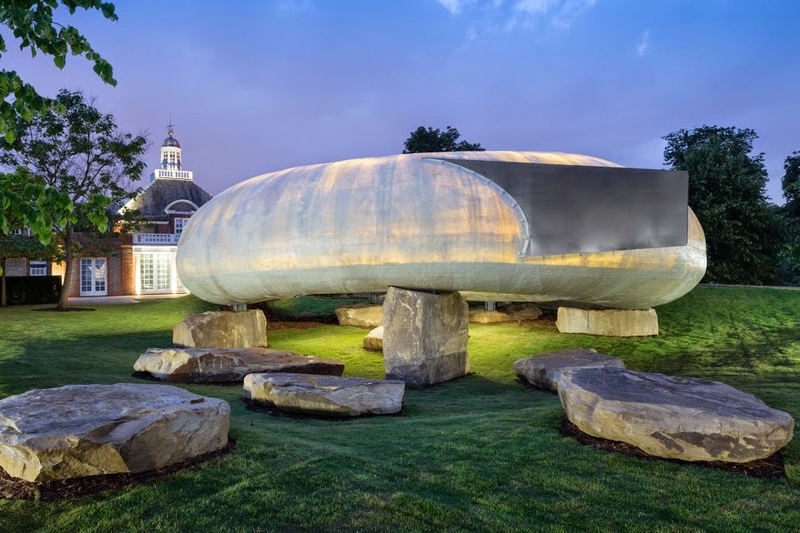 At night, the semi-transparency of the shell, together with a soft amber-tinted light, draws the attention of passers-by. Amazing! It seems like a very calm and serene place. I keep looking for such venues in Chicago for family get togethers. I think such places gives a positive and calm vibe. Anyways, good to know about this place, will definitely visit once there.